"My rehabilitation has been clearly established and in 27 more days, I will be sixty-one years of age. Forty years of incarceration has not rendered me an angry, bitter or cynical man and since 2007, my institution adjust remains exemplary I am well honored and respected among inmates of every race and background as well as prison officials and I can still smile genuinely. To keep men such as myself confined when they are parole eligible and have accomplished as much as I have and against crazy odds, is nothing short of a disservice to the society. " Read below for story on word. It has been a while since I have written to you and unfortunately, if my situation has changed, it has been for the worse. It has been more than six years since I was unjustly terminated from work release in Milwaukee and had my security classification elevated for purely political reasons. If you can recall, my conviction and life sentence involved the death of an off-duty police officer for the city of Milwaukee. In 2007, I had served 34 years and everything was going my way. I had a full time job through the work release program, a job that offered much needed medical, dental and other benefits. I was reconnecting with my family and was establishing a solid relationship with my three grandchildren, whom I love dearly. That relationship as well as others was destroyed in the name of vengeance and political expediency, because a governor was running for reelection and had to make amends to a corrupt law enforcement agency, due to the fact that his appointee, Lenard Wells, the former Chairman of the parole commission had granted parole for two co-defendants who had killed an off-duty police officer in the city of Milwaukee during an attempted armed robbery. Their case was almost identical to mine, except that they were convicted after me and received more time and more victims were hurt. And although one of these men had escaped while serving his life sentence, it was decided by the parole commission that he had served sufficient time for punishment and that he, as well as his co-defendant no longer posed an unreasonable risk to the public. My rehabilitation has been clearly established and in 27 more days, I will be sixty-one years of age. Forty years of incarceration has not rendered me an angry, bitter or cynical man and since 2007, my institution adjust remains exemplary I am well honored and respected among inmates of every race and background as well as prison officials and I can still smile genuinely. To keep men such as myself confined when they are parole eligible and have accomplished as much as I have and against crazy odds, is nothing short of a disservice to the society. Not only is it as waste of tax payer's hard-earned dollars, but children in our society suffer the most due to being deprived of the wisdom, knowledge and life experiences of men who have spent long periods of time in prison and who have transformed their lives from negative to positive and could very well make a difference in the lives of so many if given the chance. I dropped out of school before completing the eighth grade. I was a gang member, drug abuser, victimizer and all that comes with being a product of the concrete jungle. And like every child who enters this world, I was not born that way. I was born in poverty and raised in an environment where one is taught not by his parents, but by circumstances in his life that in order to survive, you had to imitate the atmosphere. And in the concrete jungle, you are either predator or you are prey. And at times, you might be the predator one day and prey the next. It was through meaningful education that I learned that I didn't have to live that way; no one does. I was barely able to read and write when I first came to prison, but since then, not only did I get an HSED, I earned a college degree as well. And if I were to do a "before and after in my life," the before would be a social worker report that was written in 1974 while I was housed at Green Bay Reformatory. The social worker concluded in his report concerning me that "He appears to be an extremely limited individual who is easily led and in need of developing some social and vocational skills." I have good social skills and possess a number of vocational skills. The "after" would be a letter written on my behalf by the director of the college program I was involved in and she wrote: "Ken overcame an enormous educational deficit to become one of the more successful participants in the program." 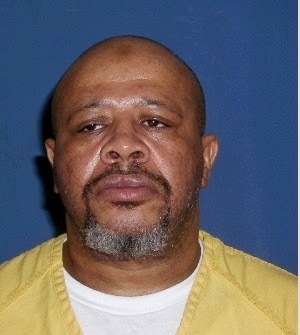 Someone need to question the Parole Commission and ask them to explain their rationale when they conclude that after forty years, I have not served sufficient time for punishment due to the nature and severity of my offense and that my release would involve an unreasonable risk to the public. How could it be that I posed an unreasonable risk to the public when in 2007 and even before that time, I was in the public, working side-by-side with its members who were well aware of my incarceration status. I was in minimum security status and was on work release as far back as 1993. However, I received a negative conduct report and was returned to medium security status and it took me ten years to get back to minimum security status. I was in minimum security status from 2004-2007 and was doing very well. The Parole Commission had ordered a pre-parole investigation, which had been approved by my agent and I was slated to reside with a sister of mine in Milwaukee. I was scheduled for a parole hearing in April of 2007, before the took place, I was placed in lock up due to what was deemed "community concerns" about my being housed at the minimum correctional I was housed in in Milwaukee. The initial move was to relocate me to a different correctional center, and I was in fact transferred to the Kenosha Correctional Center. However, a few hours later, I was returned to the Milwaukee Secure Detention Facility and remained there until I was placed here at OCI. Not only have I been black-balled, which means that all recommendations for placement at a correctional center has been disapproved, I have not been considered for work release due to me case and the fact that no warden wants to allow me out in the community for fear of backlash. The Parole Commission and the Bureau of Offender Classification and Movement is conspiring to keep me confined. The Parole Chairperson has a policy in place that precludes any parole consideration for a lifer until he makes it to a correctional center. So in order to continue to deny me a parole, all they have to do is keep me out of the center system, and this is where the Director of the Bureau for Offender Classification comes in. And along with that, my parole deferrals had gone down to as low as four months and I received two of them. After that, even though nothing had changed in my institution programming and adjustment, my deferral was raised to six months and since then, I have received three eleven month deferrals. If they ever decrease, it will probably be for a few 9 months deferrals, some eights, a few sevens and some more sixes because their aim is to defer me and make me spend the rest of my life in prison. I have a right to a hearing, but they are suppose to be meaningful but they never are.